While we await livable 3D-printed homes and buildings, the field of additive construction is experiencing steady development. China’s WinSun has made the most progress in terms of actually 3D printing buildings, but Danish firm COBOD International may be the most established when it comes to the manufacturing of construction 3D printers. COBOD has just unveiled its second-generation concrete 3D printer, the BOD2, and has signed a distribution agreement that will see the sale and rental of its equipment across Germany, Switzerland and Austria. To learn more about the company and its technology, we spoke to COBOD Head of Communication Asger Dath. Dath explained that he and his colleagues didn’t initially plan to 3D print houses. With their Danish 3D printing company, 3D Printhuset, the eventual founders of COBOD began by selling 3D printers and scanners, as well as providing 3D printing services, consulting and 3D printer distribution. During that time, the group continually had ideas for other 3D printing-related businesses. It wasn’t until it received a government grant from the Danish government that 3D Printhuset—along with other companies that included NCC Construction, Force Institute and Gypsum Recycling—became involved in additive construction. 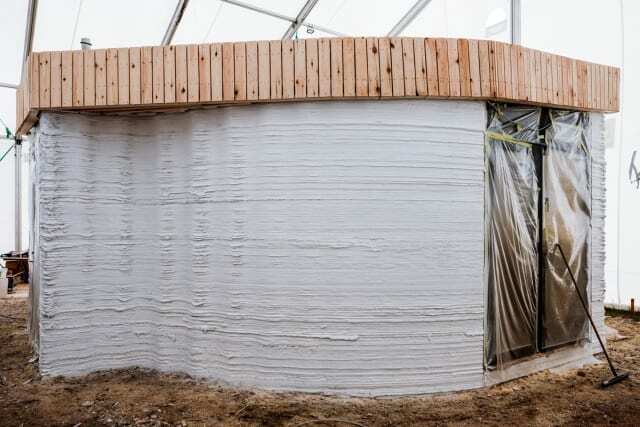 Upon visiting over 35 construction printing projects worldwide, the partners began testing materials and processes, and eventually created what they consider the first 3D-printed building in Europe: the BOD (“Building on Demand”). The BOD is a 50-square-meter (538 sq. ft.) building with no straight walls, all of which were 3D printed, along with portions of the foundation. The team initially experienced difficulty with material handling, which caused some trouble with the 3D printer, but, once that was resolved, the print process itself performed as planned and took only 50 hours. In the past, it has often been a difficult task to find a concrete formula that can set quickly enough for use in additive construction. However, according to Dath, that is no longer the case. The project saw COBOD’s development of its first-generation 3D printer, the BOD1. The BOD2 is meant to be a significant improvement over its predecessor, in that it is faster (printing at 1000 mm/s) and modular. This second detail means that COBOD can modify the system’s size depending on the interests of the customer. If you visit the firm’s website, you can find an extensive pricing sheet that describes how each additional module for the printer increases its volume and price. The smallest system, with one 2.5m module for the X-axis and another 2.5m module for the Y-axis begins at €180,000 and will get you a build volume of about 1.87m x2.13m x4.05m. At the other end of the spectrum, the largest machine—made up of 18 Y-axis modules of 2.5m each, 5 X-axis modules of 2.5m each—is priced at €950,000 and will get you a build volume of 11.98m x45.07m x9.10m. So far, the company has several sales in the pipeline and has delivered its first 10-cubic-meter BOD2 3D printer to Kamp C in Belgium, which plans to produce a two-story building with the system. The biggest unitordered so far, described as capable of producing buildings 12x27x9m, buildings, has been purchased by Elite for Construction & Development Co. in Saudi Arabia. This growth is being fueled in part by the PERI Group, a German formwork and scaffolding manufacturer. The PERI Group purchased a significant minority stake in COBOD in 2018 and recently announced that it will distribute BOD2 printers for sale or rental in the three countries in which it operates: Germany, Switzerland and Austria. Outside of Europe, COBOD has partnered with 3DVinci Creations to distribute its 3D printers in the United Arab Emirates. Just some of these impacts include the material’s outsized carbon footprint, accounting for about 5 percent of the world’s emissions. If concrete were a country, it would be the third largest emitter of carbon behind the U.S. and China. About half of these emissions stem from the chemical process of calcination, in which limestone is heated to produce calcium oxide and CO2. The energy used to generate that heat accounts for another 40 percent of emissions, while the remaining 5to 10 percent comes from the additional equipment needed to make and transport the material. 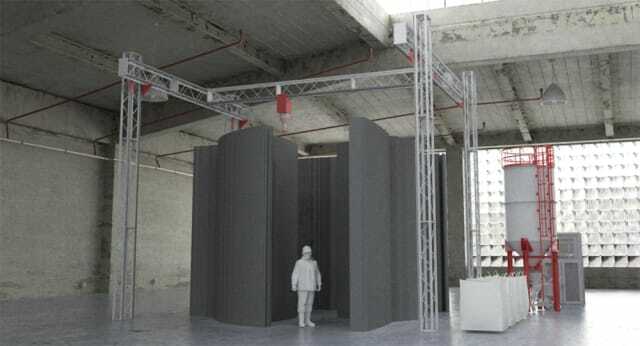 By 3D printing the concrete for the BOD building, COBOD is able to reduce the carbon footprint of construction in that, generally speaking, only the material required to build the structure, including its hollow walls, is used, with little wasted cement generated. Moreover, only 32 percent of the total material mixture is made up of cement, while 23 percent is made from recycled roofing tile, followed by 18 percent sand and 18 percent gravel. Other areas where COBOD is continuing to grow is through research and development. The company will be dialing back its own construction work, choosing instead to focus on the design and manufacture of its additive construction equipment. In addition to moving to a larger production facility, where COBOD is currently building three enormous 3D printers, the firm is working to automate construction as much as possible. In the process, COBOD will not only be advancing its own work, but work for the larger additive construction field. Dath explained that the firm is participating with “13 or 14 of the biggest companies in Denmark” to standardize construction 3D printing and develop the technology further. Until then, COBOD will be presenting with the PERI Group at the bauma construction trade fair in Munich from April 8 to 14. If you’re interested in learning more about the company, visit the COBOD website.